1. You will be charged Rs :2000. 2. The rates are for per day basis with maximum of 80 Km or 8hrs (Whichever is higher). 5. Night Halt charges are 200 Rs. Per Night. 6. Toll or Parking fees are extra. 7. Service charge as applicable. Minimum charge of Rs: 500 for 2 hours or 30 Km (Whichever is higher). 2. Toll or Parking fees are extra. 3. Service charge as applicable. Mumbai - The city that never sleeps! Mumbai is the capital of Maharashtra state and is famous for its thriving markets, business houses and many different communities reflecting a cosmopolitan and trendy atmosphere rarely seen elsewhere. Its official language is Marathi although English and Hindi are also spoken and understood. On the surface, Mumbai tours represent the ever-changing face of today's India. The fast-paced life has given rise to hordes of "fast-food outlets" on almost every road, offering lip-smacking choices of Mumbai's very delicious pau bhaji, bhel puri and kababs. This busy city is also the hub of a thriving cultural life, with a constant stream of performances in music, dance and drama. The film industry, known locally as Bollywood, is a Mumbai product which produces the largest number of films in the world. Known as the cultural capital of Maharashtra, Pune is just 170 kms from Mumbai. In fact, Pune exemplifies an indigenous Marathi culture and ethos, in which education, arts and crafts, and theater are given due prominence. Pune has one of India's oldest universities and numerous colleges catering to Indian and international students. Today, Pune is an important commercial and educational center with distinctive features and characteristics of its own. Place to visit: Osho Ashram, Shaniwar Wada, Shinde Chhatri, RajaDinkarKelkarMuseum, PataleshwerCaveTemples, TribalMuseum, Gandhi National Memorial / Aga KhanPalace, Vishrambaug Wada, BundGarden, Saras Baug, Parvati Hill, Peshwe Udyan, KatrajSnakePark, PuneUniversity. Matheran is the most splendid hill-station in Maharashtra, which is situated at 803 meters (2,636 ft) above sea level. It covers an area of 8 square kilometers in Sahyadris. Its pastoral beauty is especially pristine thanks to a blanket motor transport ban. The best season to visit Matheran is between the month of October and May. The Sahyadris attract the monsoon clouds and you can see heavy rainfalls every year. The hill-station is at its best during the tail-end of monsoon season. Regarding climate, Matheran is pleasant throughout the year. Mahabaleshwar is one of the most spectacular and the largest spot of Maharashtra's hill-stations. It is situated at 1,372 meters above sea level. It has a pleasant climate throughout the year. In summers, temperature range between 16 and 20 degrees Celsius and in winters it falls even further making the climate more comfortable to relax. The place is popular among the tourists, especially from Mumbai, Pune and all over the world, wanting to take a break from the rush of the rat race. The hill-station is highly visited during vacations like Christmas and Diwali and in summer vacations. Mahabaleshwar has long motorable roads to its sights and points with taxi stand to help you on your way. Shirdi is one of the most famous devotional place in Maharashtra state, which under the jurisdiction of municipal council popularly known as Shirdi Nagar Panchayat, located in Rahata Tahasil (i.e. taluka) in Ahmednagar District. 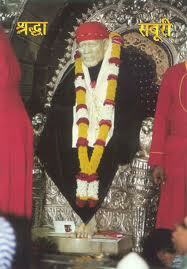 Shirdi is best known as the late 19th century home of the popular guru Shirdi Sai Baba. Shirdi is also known as the Land of Sai. The travelers may also visit Shani Shingnapur which is a holy place located near Shirdi, is famous for temple of Lord Shani. We offer convenient travel services to Shirdi. If you are planning a family tour or group traveling to Shirdi, contact us today and enjoy the journey. Nashik is one of the most important cities of Northern Maharashtra. Nashik is situated at a distance of 200 km from Mumbai (Bombay) as well as Pune. The city has become the center of attraction because of its beautiful surroundings and cool and pleasant climate. Nashik has a personality of its own due to its mythological, historical, social and cultural importance. The city, vibrant and active on the industrial, political, social and cultural fronts, has influenced the lives of many a great personalities. The river Godavari flows through the city. Temples and ghats on the banks of Godavari have made Nashik one of the holiest places for Hindus all over the World. Konkan is a coastal strip of land bounded by the Sahyadri hills on the east and the Arabian Sea on the west and ends in Goa. Maharashtra's Konkan area is characterized by White sand beaches and clean sea water, Greenery, Palm trees, religious places and sparse population that make this coastal strip an ideal laid back beach vacation. The Konkan region consists of Raigad, Ratnagiri, Sindhudurg and Thane districts. the residents of Konkan and their descendants are known as Konkanis. The travelers mostly visit this place in the season of winter and summer. The environment is very ideal for newly married couples. If you are planning tour to Konkan contact us today. Aurangabad was founded by mughal emperor, Aurangzeb. Today, it is known for some of the finest colleges and university in Maharashtra. Aurangabad is one of the fastest growing industrial towns in India. The city experiences extreme climate, hot summers and cold winters. The best time to visit this beautiful city in the period from October to March. The tourists season extends right through the year as the climate is very calm with large number of attractions in the heart of city. 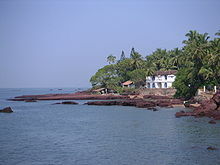 Goa is India's smallest state by area and the fourth smallest city by population. Goa is located in South West region of India known as the Konkan, it is bounded by the state of Maharashtra to the north, and by Karnataka to the east and south, while the Arabian Sea forms its western cast. In ancient literature, Goa was known by many names such as Gomanta, Gomanchala, Gopakapattam, Gopakapuri, Govapuri, Govem, and Gomantak. The Indian epic Mahabharata refers to the area now known as Goa, as Goparashtra or Govarashtra which means a nation of cowherds. Goa is famous tourist place for its beaches, places of worship and world heritage architecture. 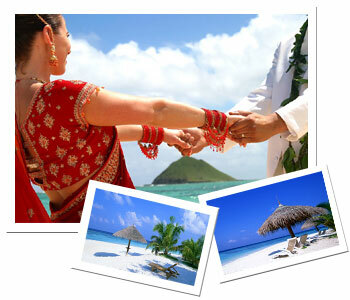 Goa is visited by large numbers of international and domestic tourists every year in all seasons. Goa's major cities include Ponda, Mapusa, Margao, Mormugao, Vasco and Panaji. Lonavala is a place where nature is present in its entire splendor. It has become famous because of nature's gift. Lonavala is a region, which is fully packed by natural beauty. Lonavala has been blessed with huge valleys, hills, Milky Waterfalls, Lush Greenery and pleasant cool winds. Words are not enough to describe the beauty for this place. Lonavala is an epic poem created by God that includes beautiful mountain ranges trying to reach the sky giving an experience of heavenly pleasure. The morning sun rising over here appears as if it is sprinkling rose water all over. Chirping birds gently awaken oneself and all of this makes it a really Good Morning. The whole place is covered with a thick blanket of fog early in the morning; this is how the day begins here. Khandala is a small hill station blessed with natural beauty and bounty. Deep valley on one side and high hills on the other side divide Khandala and Lonavala. Whenever a tourist visits Lonavala he also wishes to visit Khandala because of its beauty. While traveling on Mumbai Bangalore National Highway, one has to cross the arduous Khopoli - Khandala Ghat, one of the attractive Ghat to see. 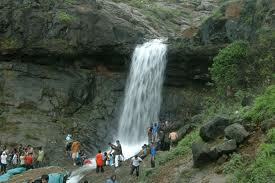 Khandala is one place where you will fall in love at First Site. Khandala is packed with full of tourist practically for the whole year. Main reasons for this is the fact that it is very close to Mumbai, so people from Mumbai find it very convenient to reach, other reason is that the passengers traveling to south India or returning from there also pass through, making this place a busy spot. And the natural beauty of Khandala makes one forget the fatigue of the journey. Being at a considerable height from sea level, this place enjoys a cool climate.